Overlays allow you to separate your core portfolio’s investment management process from an overlay portfolio. Overlays allow investment professionals to i) provide custom solutions per investor, ii) explore new rebalancing methods, iii) apply temporary safety nets, and iv) diversify an asset-class managed portfolio on a factor basis. All of this without changing a portfolios core investment process. The objective of the Portfolio Overlay –Complete Portfolio Model- is to improve risk adjusted returns of your current portfolio constituents by employing a rebalancing methodology using an implicit risk factor allocation. In addition to the risk return improvements, the benefit of this tool is that there is no need to include new funds or assets to improve your allocation using our factor-based approach. In the following example we use a Fund of Funds as a sample portfolio. The benchmark for this managers portfolio is the MSCI ACWI. In the graph below we illustrate the results of a rolling 2 year calibration with approximately 15 years of Out of Sample results. The objective of this Portfolio Overlay –Mixed Portfolio Model – is to improve risk adjusted returns by combining your current portfolio of funds or direct instruments with an ETF factor-based strategy. As well as the risk return improvements, the benefit of this tool is that it is not necessary to change your current relative allocation, but to only sell a small portion of it to invest in a very liquid and cost efficient ETF based portfolio. 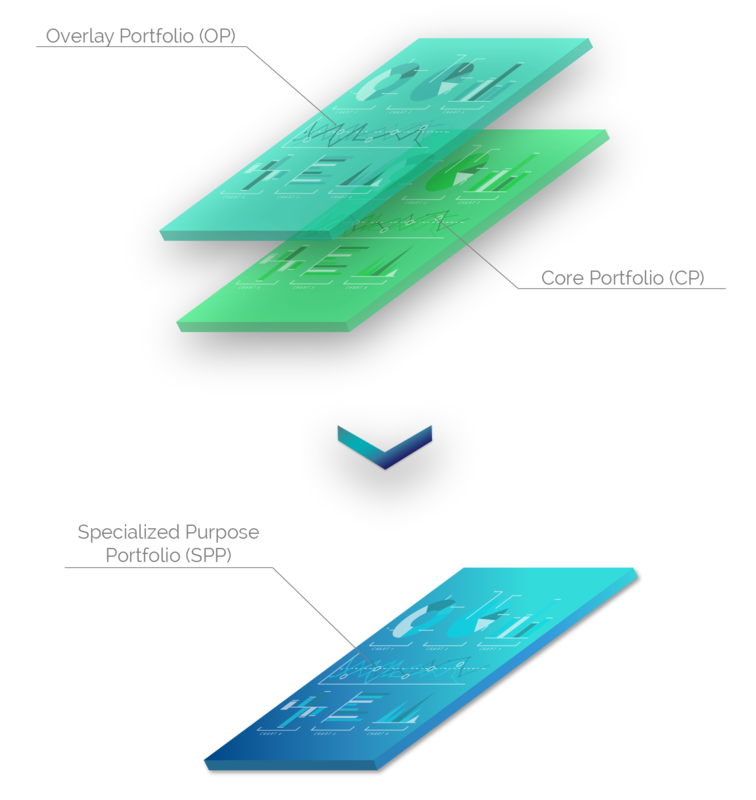 Overlays allow you to separate your core portfolio’s investment management process from an overlay portfolio. An institutional investor can deliver Specific-Purpose Portfolios (SPPs) without changing its core investment process by using STS Portfolio Overlays which can be managed externally.